Five Palestinians have been violently beaten by Israeli officers during the arrest and investigation phases, a lawyer has reported. 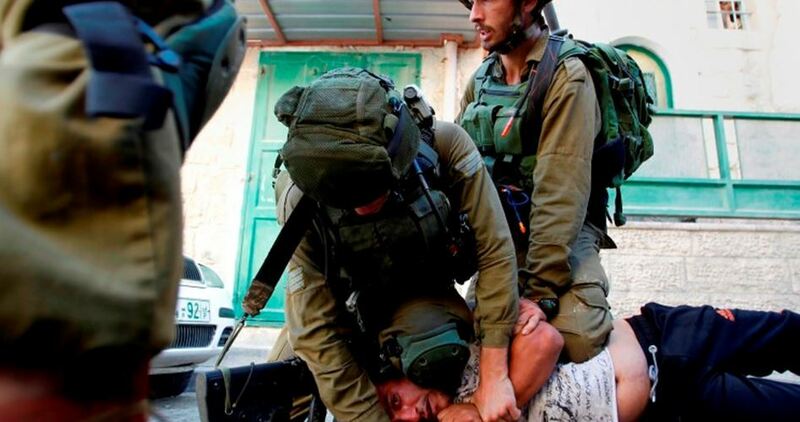 Lawyer Husain al-Sheikh, from the Commission of Prisoners and Ex-Prisoners, said Mohamed Shalalda, aged 36 and from al-Khalil, was heavily beaten up by Israeli soldiers while being laid on the ground, handcuffed. Khader Hadiya, 24 and from Bethlehem, was made to endure violent strokes on his stomach and head during the interrogation phase in Etzion detention center so as to force confession. 18-year-old Muhammad Salah was also hit with rifle butts on his hand shortly after heavily-armed Israeli soldiers broke into his family home in al-Khader town, in Bethlehem. Two more cases of heavy beating were documented against 25-year-old Fahd Assaad, from Bethlehem’s refugee camp of al-Duheisheh, and 23-year-old Mootaz Aziyeh, from Doha town, in Bethlehem.